I have pleasure in presenting to the market a home that has been meticulously maintained & loved for more than 50 years by the same owners. This warm and inviting family home opens to a spacious light filled lounge and dining area with ceiling fan and air conditioner for added comfort. The original kitchen features a breakfast bar, a new electric cooktop and oven as well as ample storage and bench space with plenty of room for another table. 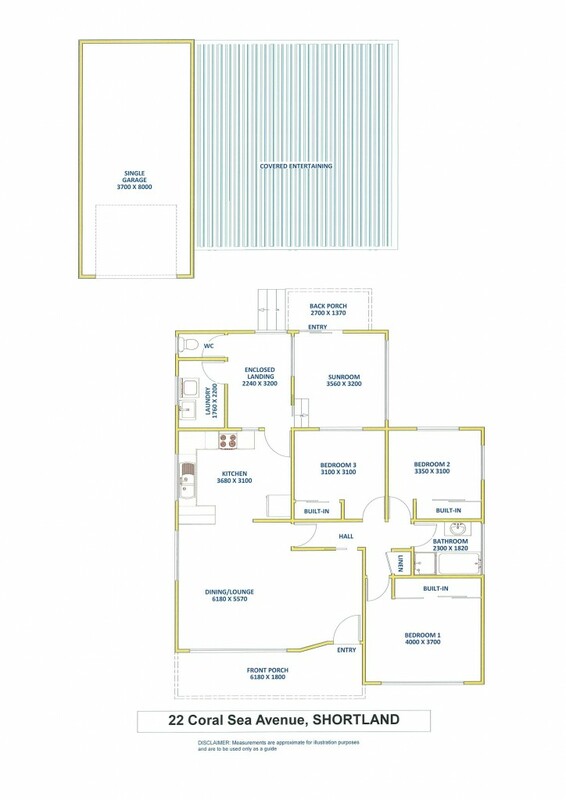 All three bedrooms are double size and come with built-in wardrobes. The master bedroom also features a ceiling fan. The bathroom is central to the bedrooms and has a separate bath and shower. At the back of the home you will find a large laundry and W.C. leading down to a sunroom. Perfectly positioned with a north easterly aspect, the sunroom looks out over the immaculate gardens. There is side access to the oversized single garage and double carport that currently makes a perfect covered BBQ & entertaining area. To view this exceptional original property contact exclusive listing agent Allen Reece on 0409 814 400 or contact the sales department on 4950 2025.